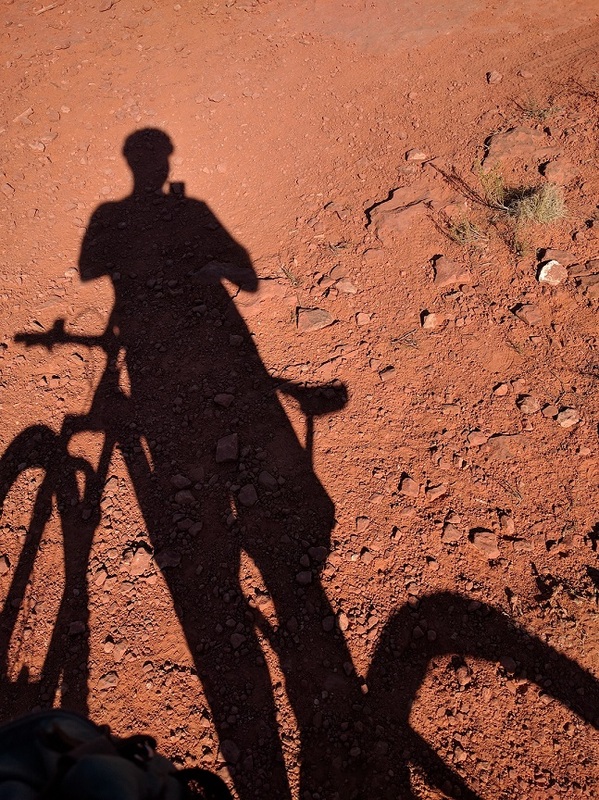 Sure, there was the expectation about what a trail ride would be like on a high end bike demo, and I started with some lofty expectations for myself and my new equipment. Of course I’m a massive gear snob, as my friends will attest, so renting anything suitable is a challenge. With a $100 burning a hole in my pocket I went to the shop, got fitted up with a rental, and headed out for what became a 4 hour spirit quest ride. It was awe-inspiring, really, and it helped me realize how much I need to push my limits. The directions from the shop guys were hard to follow and misleading, and what they thought would be difficult took me about half the time alotted. That’s my fault because I told them I was an intermediate rider, and the terrain was squarely intermediate until I accidentally went off course and nearly doubled the length of the route. And at the end of it I was tired. So today, I still had great weather and another full day in the Arizona sun, so I headed back down into the shop NEXT to the one I rented from yesterday. They looked to have some decent and inexpensive rental bikes on offer, and when I called to inquire the guy on the phone was helpful and friendly. Of course it’s a tourist town, but the day before I felt like I was kinda an inconvenience when I was the only guy in the shop and certainly the only one renting that caliber of bike all day. As we went through the fit up process I got more personal attention for my $25 rental than I did for the daylong demo, then headed out for some relatively mellow, rolling singletrack. Of course I never intended to kill it, I just wanted to soak up the weather and take advantage of what was on offer. And as I rolled along I couldn’t believe how much fun I was having on a bike that cost about 1/7 of my trail bike back home. Wow. Sure, the brakes squealed a bit, and I hadn’t ridden components that low end since I started high school, but the bike worked, and the trails were fun. As I got the hang of unweighting and throwing the bike around a few things became clear- first, that this aluminum hardtail was heavier than the carbon long travel full suspension bike I rode the day before, and second that I could still ride most of the same stuff. Huh. How did that happen? It’s easy to get sucked into what many like me call the “gotsta haves,” a vicious cycle of consumerism that may or may not be grounded in having what’s really the latest and greatest gear. There are real advances in technology, materials, and design, but often it’s just spin to make you feel like what you have and love is no longer adequate. You know, like an iPhone. Back to riding with tires and tubes, three front chainrings, a saddle pack, and no dropper post. The bike was fun, and it was fun because bikes themselves are just plain fun. A bike needs to be safe with working components and tires that hold air, and of course your local shop can help you sort that out. With those minimum parameters met it’s really up to you where you ride, how much fun you have, and where you choose to go. $25 was the cheapest lesson in radness I’ve ever had.